List Rules All athletes on this list played while high on drugs or alcohol - not counting steroids. Everyone knows athletes do steroids. But what other drugs do the world's elite sportspeople dabble in? Believe it or not, lot of well-known athletes have been stoned or hammered in action. Some of these stars even gave the performance of their lives while inebriated. 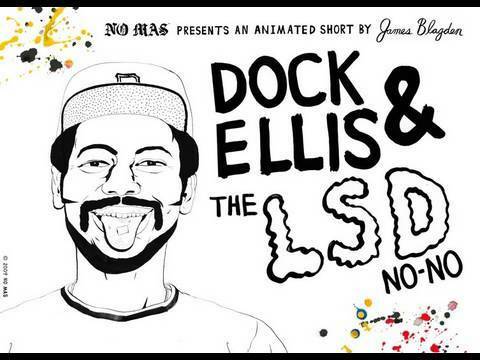 Dock Ellis, for instance, threw a no-hitter while on LSD. David Wells pitched a perfect game while half-drunk following an all-night Saturday Night Live after party. Check out these 16 athletes who performed while under the influence. In 1970, Dock Ellis took to the mound for the Pittsburgh Pirates and threw a no-hitter while on LSD and amphetamines. Ellis forgot he was starting that day, so he thought, "why not enjoy a ballgame while on a little LSD?" He did, and then had to take the mound. Ellis claimed the ball changed colors and sizes throughout the game. Robin Williams once reenacted what it must have felt like for Ellis pitching while high as a kite. It should be noted Ellis did try pitching on LSD again after the success he had the first time, but it did not go nearly as well. 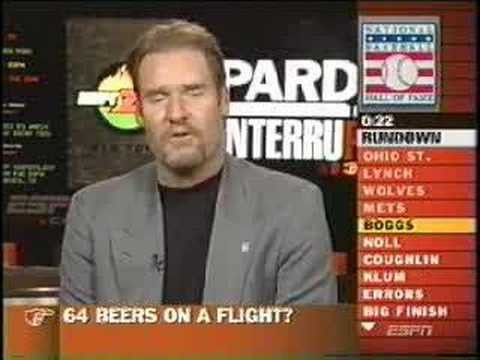 Wade Boggs was one of the greatest hitters in MLB history, and one of the greatest drinkers of all-time. Rumor has it Boggs drank 64 beers on a cross-country flight before taking the field and going 3 for 5 against the Seattle Mariners. Boggs drank nothing but Miller Lite, which isn't the strongest beer, but still, 64 beers, that's ridiculous. Boggs's legend was even portrayed on an episode of It's Always Sunny In Philadelphia. David Wells did something that only 22 other pitchers have done in the history of Major League Baseball, and he did it drunk. Wells threw a perfect game for the New York Yankees in 1998. A perfect game is when a pitcher retires all 27 batters of the opposing team. Wells himself claimed he was half-drunk when he took the field after partying all night at a Saturday Night Live cast party. He slept for less than an hour, then went out and made history. Maybe we should all consider doing our job half-drunk. Dennis Boyd was a known drug addict and actually pitched the whole 1986 season while smoking crack every day. An incident in '86 highlights the tragedy of his addiction. For whatever reason, Boyd thought it would be a good idea to hide crack in his hat while taking the mound. His hat fell off a few times, and the crack spilled all over the infield. Boyd claimed he wasn't suspended because he was honest about his addiction when asked about it. Maybe honesty really is the best policy.